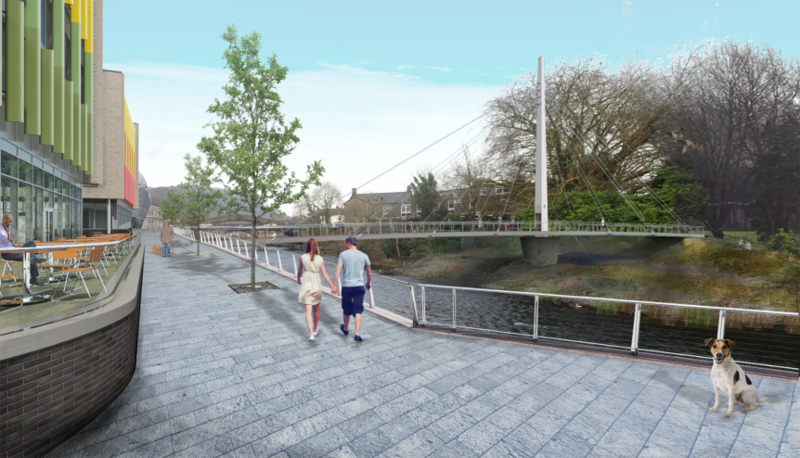 The new footbridge connecting DarntonB3’s Taff Vale development in Pontypridd to Ynysangharad Park across the River Taff was submitted for planning consent in earlier this year. The scheme is located in a registered historic park and is also in the vicinity of the William Edwards Bridge – a scheduled ancient monument. The application therefore also included a detailed Heritage Impact Assessment which included extensive visual impact analysis of the proposed bridge and the heritage context.